At an early age, I was very keen on technology and how it can make a difference to people lives. I started my career as a land survey assistant at Northamptonshire County Council and then moved to New Zealand in 2004 with my wife. I can't say that things weren't difficult at first, but we've never looked back. We're now citizens of the country and have an eight-year-old girl who benefits from our life in Wellington. The working environment here is similar to the UK, with plenty of opportunities to develop your career. I didn’t expect to be where I am today, but I'm proud to say that I took the opportunities I was given. This helped me to move up to a role with a relatively high level of responsibility. I'm now able to have a positive impact on the lives of New Zealanders and people visiting this great country. 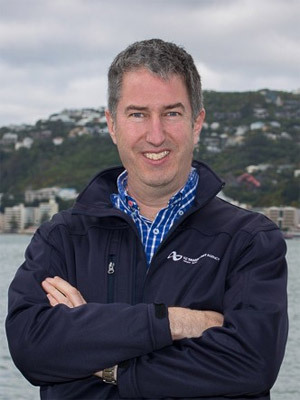 As a senior network manager (for New Zealand Transport Agency), I’m responsible for the management and operations of the state highway network in the Wellington and Nelson regions. This means working closely with our maintenance and operations suppliers, stakeholders and customers. Over the years, I've also been deeply involved in the graduate development that my company offers. As a member of the working group, I've helped to set up a well-structured programme. It gives graduates the opportunity to move around our departments, and work with various suppliers, so they can build up their professional competencies.